Picture the ocean. The waves pounding on the shore. A fresh salty breeze invigorates your mind. Okay now that you’re in the right frame of mind it’s time to read my recent interview with Mike Canavan, owner of The Salty Surfer Company. Q. 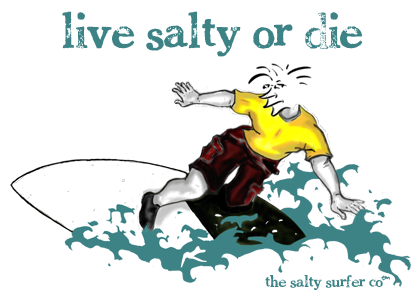 Can you tell us a little about how The Salty Surfer Co. was first conceived? I created The Salty Surfer about 3 years ago and finally launched it this year. It was created based on a sincere love and passion for this earth and everything in it. After discussing the concept with friends and family we finally zeroed in on who Salty is and what he’s all about. We felt that we needed to come up with a recognizable face/character that everyone could relate to. Salty is all about simplicity, humility, loving and taking care of the earth, enjoying life and truly wanting to make a change in a very simple way. 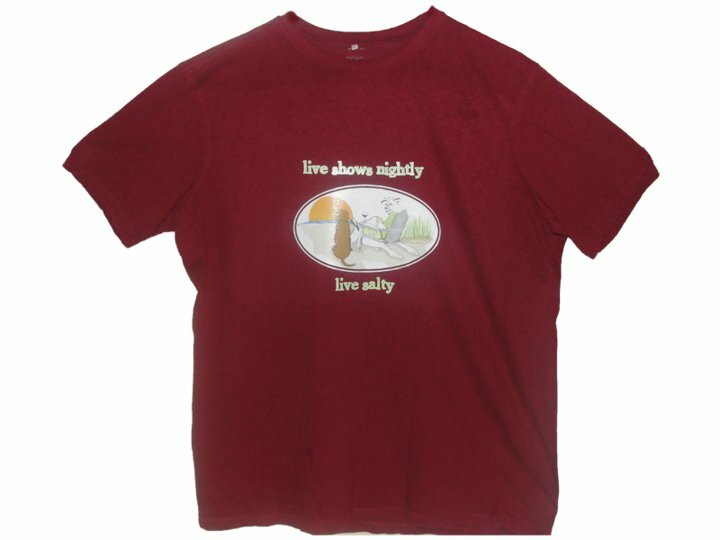 We thought what better way than to promote his character than on a sustainable t-shirt? 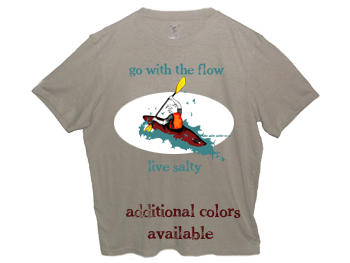 We found that in these times of economic uncertainty and environmental awareness [we] are fueling and awakening to the basic values embodied by Salty who reminds us to live simple/humble and to enjoy life. He’s surfing the world trying to spread a simple global message. A self-sustaining lifestyle. I’d love to run my own house on a farm, with a garden, farm animals etc. My home and family would be my occupation. Q. What makes The Salty Surfer an eco-conscious label? 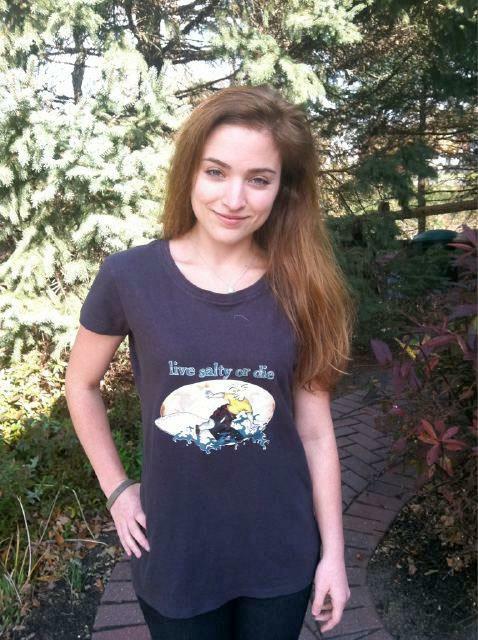 All of our t-shirts are made from naturally sustaining hemp, bamboo or organic cotton. Q. In your own opinion, what is the most urgent environmental issue facing the world today? The most serious environmental issue we face today is LOVE. Where is the LOVE (seriously)? When this human race finally figures out what it means to love, all environmental issues, greed, corruption etc. etc. will be washed away. If we don’t figure out how to love/respect/trust each other and every living plant and animal on this planet, we will NEVER see change. 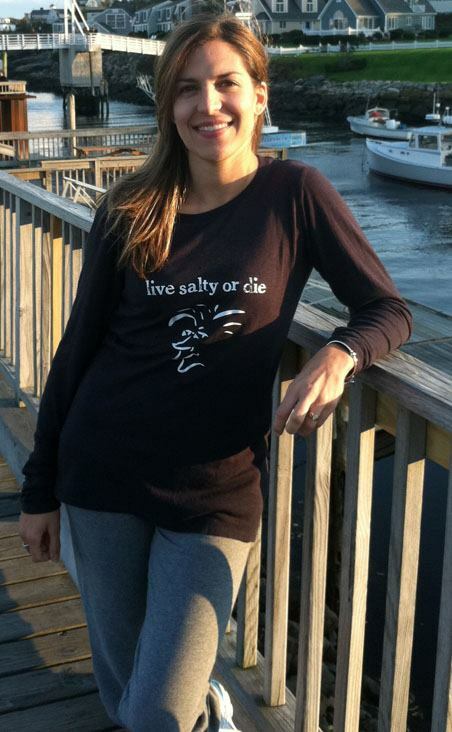 Live salty or die! Q. What are The Salty Surfer’s favourite surf breaks? Q. What does the future hold for The Salty Surfer Co.? The future of The Salty Surfer is to create and provide a self-sustaining village. Our goal is to have all our shirts made, created and distributed on-site worldwide. Our company would love to spread awareness that we can ALL work towards a self-sustaining lifestyle/home in a very simple way. It’s not difficult, with some inspiration we can get there.